Kangana Ranaut and Hansal Mehta reportedly had many creative differences while shooting for Simran. Manikarnika: The Queen of Jhansi featuring actress Kangana Ranaut is doing a decent business at the box office but controversies surrounding it refuse to die. The director of the film, Krish, recently opened up about his side of the story talking about how the actress took over the project. 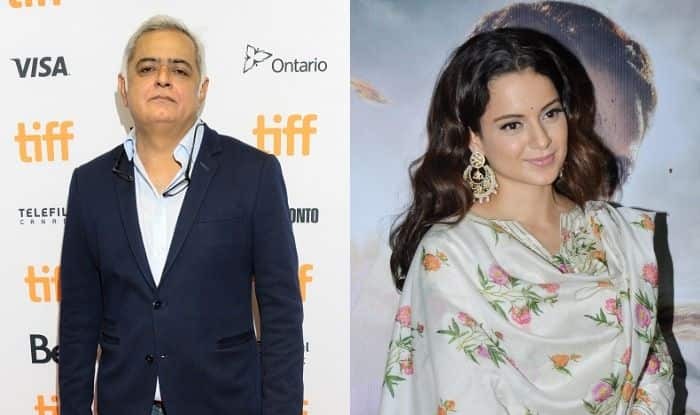 Now, filmmaker Hansal Mehta, who worked with Kangana in Simran, talked about his differences with her. He stated that the movie was a painful chapter in his life. It was said that while shooting the film, there were many creative conflicts between Kangana and Hansal. However, the latter always maintained a stoic silence on it. Hansal took to the micro-blogging site Twitter and wrote, “Many people keep dragging me into the controversies around Kangana Ranaut that seem to erupt from time to time. For the last time – Simran is a closed chapter as far as I am concerned. The details of what really transpired during the film will remain a closed chapter as far as I am concerned. The details of what really transpired during the film will remain a painful chapter of my life that might find their way in a memoir pleasure on social media. On a related note, Kangana received positive response for her performance in Manikarnika. Along with acting in the film, she also made her directorial debut with it. The actress will next be seen sharing the screen space with Rajkummar Rao in Mental Hai Kya.